Every great chef has a story. A family member or a friend or a single dish that helped them fall in love with the art of food. Some are self-taught, and others come from a prestigious pedigree of professionals. And every one can be better. Even if your friends are already begging you for your recipes, or you’re working at an established restaurant, formal training from a culinary arts school can help you develop the expertise and skills you need to feel comfortable running your own professional kitchen. Maybe you’re an entrepreneur at heart, and you just need a stronger culinary background to feel ready to launch your restaurant or bakery. Or, maybe you’re the Midas of bakers, and everything you touch already feels like it came from a Michelin star restaurant—but you have no idea what you’re doing on the business side. Culinary arts schools have certificate and degree programs that include chef training, baking and pastry art, restaurant management, and more. Depending on the program, you could be ready to roll in as little as a few months. 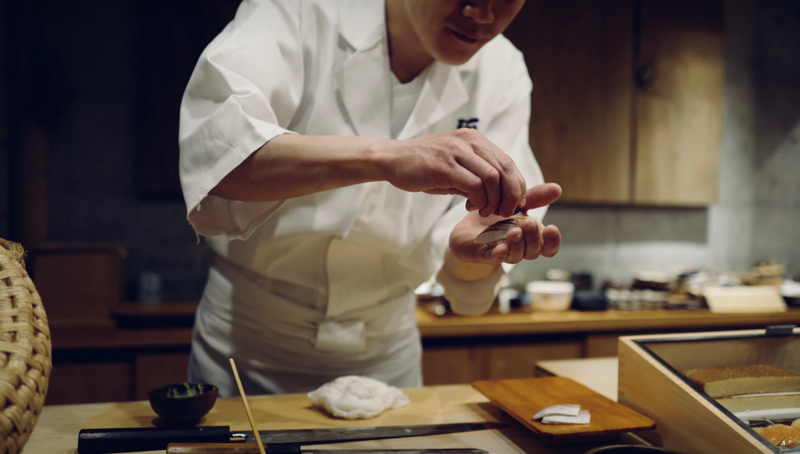 There are numerous culinary arts schools that can give you the expertise you’re looking for, but we’re only going to show you the best of the best. To help you sort through the top schools in the U.S., we’ve used data from The National Center for Education Statistics and ratings from school-ranking entities like TheBestSchools.org, CulinaryOne.com, BestChoiceSchools.com, PremiumSchools.org, and TheDailyMeal.com. Depending on the length and level of program you’re looking for, many of these schools offer affordable certificate programs. But whether you’re looking for a certificate, associate’s degree, or bachelor’s degree in culinary arts, one school is far more affordable than the rest. Henry Ford College comes in at #9 on our list, and even if you don’t live anywhere near Michigan, it’ll cost about $6,000 per year. You could get a bachelor’s degree for far less than some of these one year certificate programs cost. And let’s not forget, that’s without paying outlandish amounts of money to live in one of the most expensive cities in the U.S. In any of these programs, you’re going to learn tips and tricks on day one that will make you a better chef. But if earning a certificate, diploma, or degree is the most important piece of this puzzle, I’d recommend L’Academie de Cuisine. It’s #8 on our list, and with a 92% graduation rate, you’re most likely to walk away with the credentials you’re looking for. A lot of these schools have some pretty incredible programs to give you real-world experience that often translates into a job. One school’s culinary program even ends with a six month apprenticeship (the longest apprenticeship of any program at any school in the U.S.). But if you’re choosing a school based on which one is most likely to land you a job, you’ll want to check out Kendall College (#4). 96% of their culinary arts graduates have jobs within 12 months of graduation. You might already be familiar with the standard college system of credits, but a lot of the schools on this list tell you each program’s “contact hours” instead. While a credit system doesn’t give you a very good picture of how much time a program takes (it involves some math), contact hours tell you exactly how many hours of your life you’ll spend in a given program . . . roughly. One contact hour is at least 50 minutes, but no more than 60. The Institute of Culinary Education was founded more than 40 years ago by culinary expert Peter Kump, who also cofounded the James Beard Foundation with Julia Child. The school offers six to 13-month certificates in culinary arts, pastry and baking arts, culinary management, and hospitality management. About half of ICE’s externships lead to a job. The International Culinary Center wants to provide students with the maximum education in the minimum time. They offer programs in professional culinary arts, professional pastry arts, cake techniques and design, international bread baking, and sommelier training. Additionally, they also offer a unique “farm to table” program, an Italian cuisine program that involves cooking in Italy, and a suite of one-day culinary classes. The ICC has 11 master sommeliers on staff. The Culinary Institute of America goes beyond diplomas and certificate to offer both associate’s and bachelor’s degree programs in the culinary arts. They offer AA degrees in culinary arts and baking and pastry arts, plus bachelor’s degrees in food business management, food studies, and culinary science. CIA’s motto is “Food is big business,” and that’s why their programs go well beyond the craft of food preparation to provide you with courses in business, accounting, human resources, and marketing to make you a valuable asset to any restaurant—and even more equipped to run your own. CIA has more on-campus restaurants than any other culinary school in the world, which provides an exceptional real-world learning environment. And on top of that, 100% of CIA’s students participate in externships. In addition to a highly relevant business education, you’ll get 1,300 hours of hands-on experience in CIA’s kitchens and bakeshops. This program includes 1,300 hours of hands-on experience in CIA’s kitchens and bakeshops. Kendall College offers three associate’s degrees and one bachelor’s degree in culinary arts through their School of Culinary Arts. At Kendall College, your instructors include two master bakers, a registered dietician, certified executive chefs, authors, and pastry chefs, all of whom have at least 10 years of experience in the industry. Note: Kendall College’s transfer rate is 38%. While that’s only a little higher than the national average (about one in three college students transfer schools), it’s also the same as their graduation rate. So you’re just as likely to change schools as you are to graduate from KC. The New England Culinary Institute offers a variety of culinary degrees and certificates through their culinary arts program, baking and pastry arts program, and food and beverage business management program. They even offer several of these culinary degrees online. Each tier of the culinary arts program adds a new layer to your experience. The certificate in professional cooking gives you the building blocks you need to start a career in the foodservice industry, including sanitation, scaled food-production, food sourcing, and other culinary basics. The AOS degree adds an externship and additional hands-on experience, and the BA degree adds additional lab work and practicums, business courses, significantly more hands-on experience, and more. The Auguste Escoffier School of Culinary Arts offers an associate’s degree in culinary arts, as well as diplomas in culinary arts, pastry arts, and home cooking classes. You can earn the culinary arts diploma online. Want to know who you’re learning from? You can read bios for all of Escoffier’s chef instructors. 90% of Escoffier’s pastry arts graduates secured jobs. Note: According the NCES, Escoffier’s student to faculty ratio is more than double the national average for all colleges and universities, but Escoffier’s site says “small class sizes” is one of the reasons people go there. Fun fact: Escoffier offers its graduates lifelong job placement assistance. Johnson & Wales University is a business school that’s more than a century old. They offer the widest selection of culinary arts-related degrees. With such a rich tradition in business education, you can expect JWU to provide you with a well-rounded culinary arts experience, so you can feel comfortable with every aspect of the foodservice industry. And you can earn a certificate in professional craft brewing. They also offer master’s-level business degrees that can significantly add to your management expertise. JWU’s transfer rate is 2%. That’s more than ten times less than the national average. Once people start at JWU, they stay there. 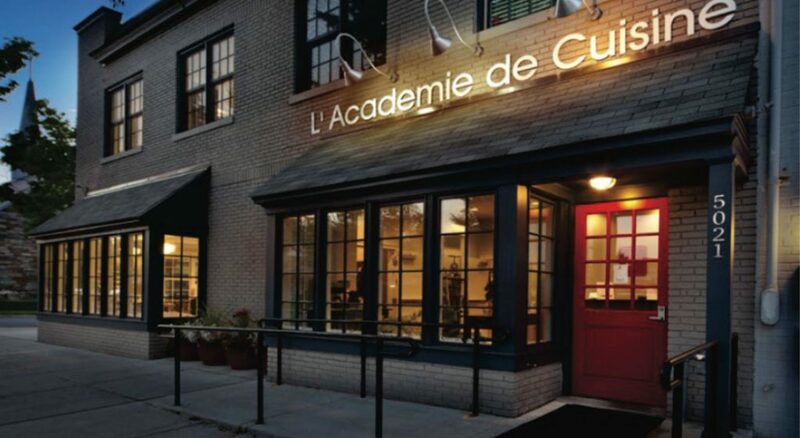 L’Academie de Cuisine offers certificate programs in both culinary arts and pastry arts. These programs culminate in a pretty exceptional career-launching opportunity, which likely contributes to the school’s high placement rate. L’Academie’s paid apprenticeship program is the longest apprenticeship offered in any program at any school in the U.S. You’ll work 35 hours per week for 26 weeks under the supervision of both an experienced chef and the L’Academie staff. If you want to know who you’ll be learning from, L’Academie has some detailed faculty bios for you to explore. Henry Ford College offers certificate, AAS, and BS programs in culinary arts, baking and pastry, and hotel/restaurant management. Note: Henry Ford College has a transfer rate of 39%. Normally that wouldn’t be a big deal, but with a graduation rate of 6%, it’s a lot more likely that if you start your education here, you’ll transfer somewhere else. Just something to keep in mind. 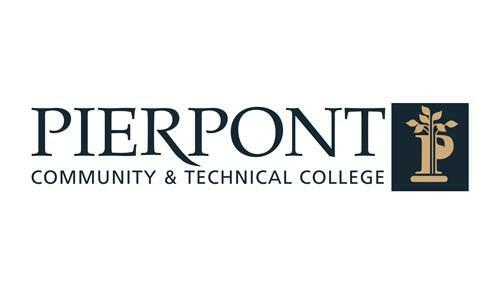 Pierpoint Community and Technical College offers a food service management AAS degree with four culinary arts-related specializations. You might’ve noticed a certain prestigious culinary arts school isn’t on our list. Unfortunately, Le Cordon Bleu is closing all of their U.S. locations. So they aren’t accepting new students. While they have some incredible programs, we weren’t going to waste your time talking about an educational experience you can’t get anymore. 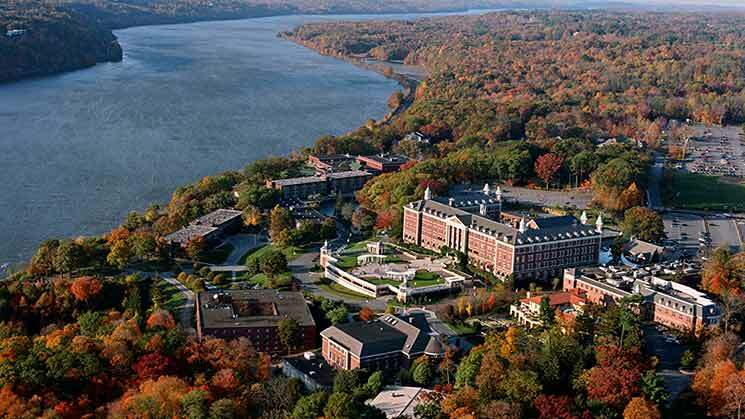 A lot of the schools on this list are accredited by national accrediting bodies, which makes them less transferable than programs accredited by regional accrediting bodies. Most of these programs are pretty short, but if you think you might change your mind about where you want to be and what you want to do, pay attention to who your school of choice is accredited by. We can’t tell you exactly which culinary arts school is the best choice for you—and you shouldn’t let anyone else do that, either. You have to weigh the factors that are most important to you and let that guide your decision. Choosing a school is a huge investment—both in terms of what it immediately costs you and how it affects your life. So take your time. Very good article and helpful for students who wish to join a culinary school in America. I request the author to come up with a list best culinary Schools in Asia so that the students from this part of the globe will benefit .Your article has covered all aspects of selecting a culinary school. In India we also run a culinary school by name culinary academy of India from over two decades .We would like to see as to where we stand in Asia if evaluated by a foreign individual.